Bravery in the face of opposition, stalwart leadership, and unyielding ingenuity. These traits sound like the definitions of a Medal of Honor recipient, but have proven to be invaluable secrets to success in the economic realm. The United States in particular has a lion’s share of military veteran entrepreneurs who have begun their meteoric rise from the humble beginnings of military service. The sheer number of successful entrepreneurs is staggering. Here are three game-changing veterans who exemplify the values of honor, courage, and commitment. Entrepreneurship spans multiple industries and is a viable option for enterprising veterans. It provides them with an outlet to apply the skills and interests they developed during service. Joseph Kopser is a former U.S. Army Major who served in Iraq and Afghanistan. He is now the CEO and co-founder of RideScout, an Austin, Texas based startup that developed a smart phone application that provides real-time information about transportation options in the area. 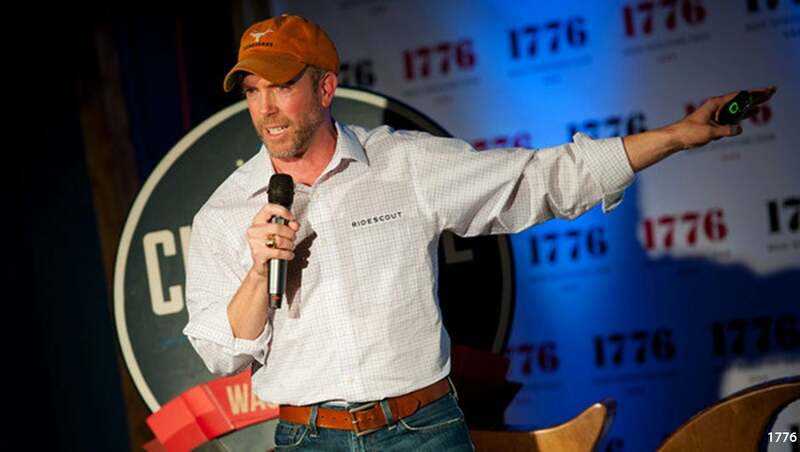 Kopser and fellow founder Craig Cummings, another Army veteran, completed their first full-scale city launch starting in Washington D.C. in 2013. While the cost of funding a startup can prove prohibitive, many financing options are available to former and current military service members. Kopser and Cummings managed to secure over $700,000 of seed financing from a variety of sources. Paul Sperry, the founder of Sperry Shoes, also had his start in the Military. Joining the United States Navy during World War I, he served in the Information Branch before ending his service as a Seaman, First Class in 1918. His experiences aboard ship in both his personal life and military career sparked the idea of creating a safer way to navigate the slippery decks of naval vessels. The creation of the original Sperry Top-Sider Boat Shoe in 1935 indelibly left a mark on the world. By 1939 the U.S. War Department named the Sperry Top-Sider as one of the official footwear options in the U.S. Navy. It remained popular with American Sailors for the duration of World War II, and today is a staple of American fashion. A more well-known example is the $3.7 billion shipping giant FedEx. Founded by Marine Corps Officer Fred Smith, he applied his military logistics know-how to the realm of business. Only two years before the foundation of the company (originally known as Federal Express) in 1971, Mr. Smith was serving combat duty in Vietnam. Shipping operations first began in 1973 and consisted of 8 airplanes flying between 11 cities. FedEx now operates in 220 countries with more than 300,000 employees. Fred Smith is currently the co-chairman of the U.S. World War II Memorial Project and serves as the Vice-Chairman for the U.S.-China Business Council. David Kirby is an Editor at The Outerhaven and McCauley's Columns. In his free time he enjoys painting, gaming, and traveling with his wonderful partner Sarah.